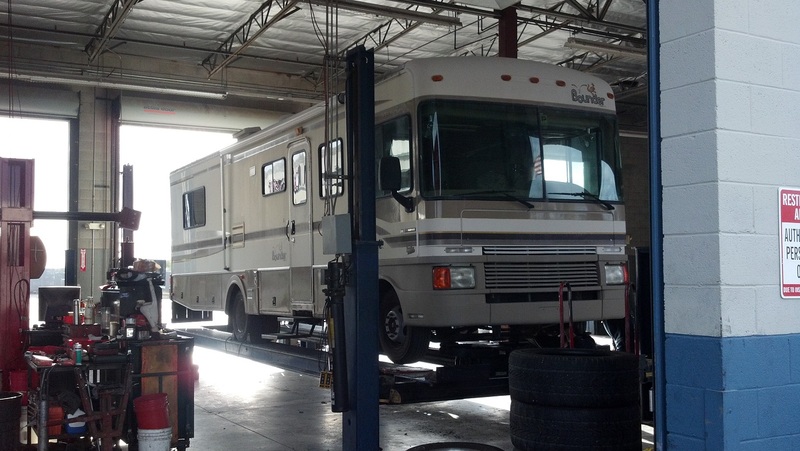 confessions… I didn’t know squat about RV tires! – RV Cheaper! March 16, 2014 March 26, 2016 RV Cheaper! 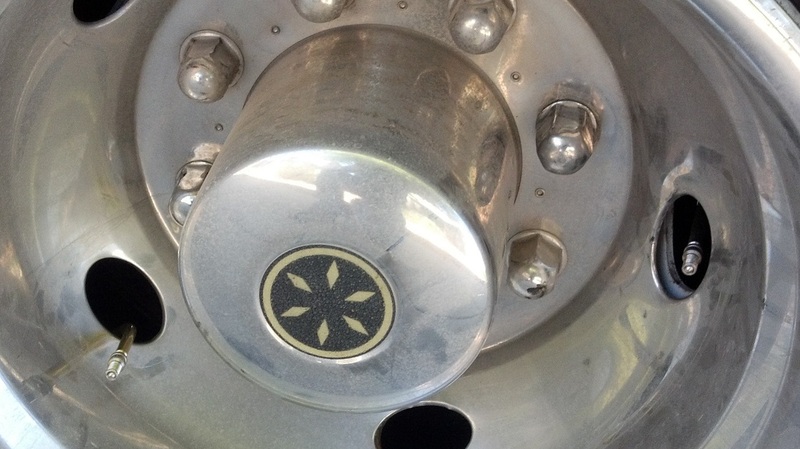 confessions… I didn’t know squat about RV tires! I’ve been trying my best to keep our RV tires aired up, but getting to the inside tires on the back has been next to impossible. If it wasn’t for a brake inspection last spring I would have had to buy a new jack and lug wrench. So for the last 3-4 months I’ve been trying to figure out what kind of steel braided extenders to buy. I finally found the right set of extensions and went to make an appointment to get them installed before I buy them (I have no jack, no wrench and no desire to tote them in the RV). It’s spring in Phoenix and every RV dealer is booked up and I was looking at a two week wait to get these gems installed. It got down to a week before we had to vacate our RV storage space in Chandler and move the RV up north for our warm weather camping trips. After some discussions at work I got a brilliant suggestion, to go to a heavy truck tire shop! So Friday I call a local heavy truck tire dealer and ask how soon I can get the extensions installed and they can get me in the next morning! 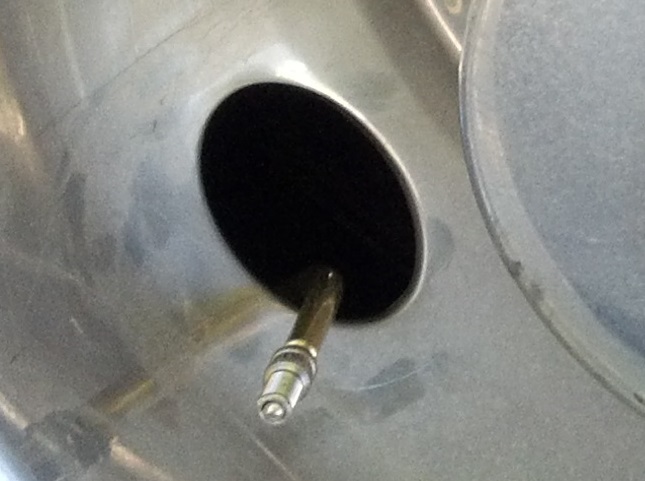 While talking to him about the extensions he tells me they can put on stainless valve stems and they have enough sizes to get both inner and outer tire valve stems where I can reach them so it easy to fill my tires. The set of six cost $175 because the tires have to be unmounted, remounted and balanced. I decided it’s a bargain for a much more reliable solution plus, I don’t have to worry about the hoses coming loose, flopping around or affecting tire balance. So here’s our new valve stems, right out in the open! No plastic, all stainless steel including the caps! 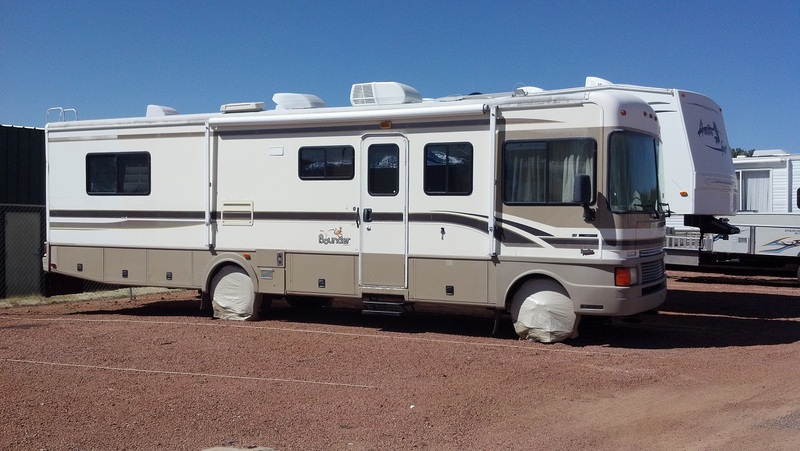 Now for my next clueless RV rookie confession… I’ve been driving on some old tires for 16 months since we bought the beast. These tires are not just five years old, the newest one I have was 13 years old! Needless to say I had to drop come change for a whole new set of RV tires and check the alignment. Oh my aching wallet! Luckily, the awesome valve stems were included with the new tire mounting. So my next trip was the RV store to get tire covers to protect this new investment. I also lucked out with a full set of four on sale for only $10 more than I had seen for a set of two. For once my cheap radar was working! So I’m not out of the woods yet, here’s another rookie confession, I knew nothing about proper care for tires while the RV is in storage. After checking forums and asking the tire dealer, I found out the best thing is parking on plastic, not wood and not on cardboard! The plastic won’t draw moisture and natural oils out of the tires. The cheapest and most durable material I found was the cheap, flexible cutting board sheets. If the sun rots them, I’m out less than $10 for a full set! I hope my new found knowledge saves you from making rookie confessions like mine! Cheers!